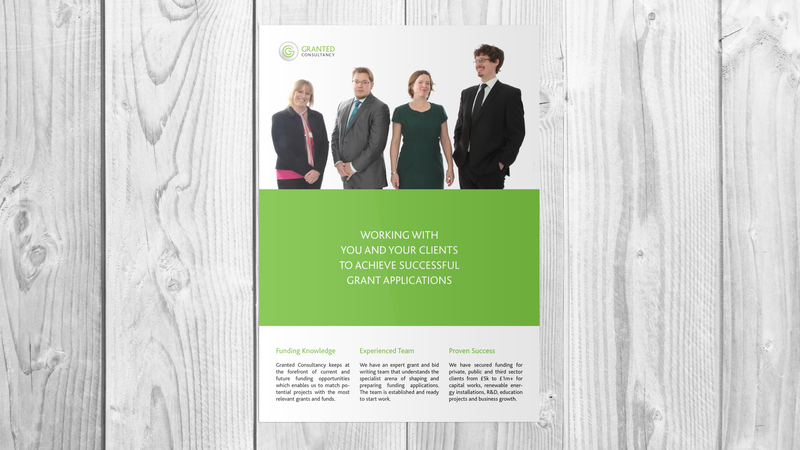 Granted has helped their clients secure funding and grants for capital works, renewable energy installations, education projects and business growth from their offices in Exeter, Devon, since 2009. Granted asked Ilona Design to help them reach out to a different audience. 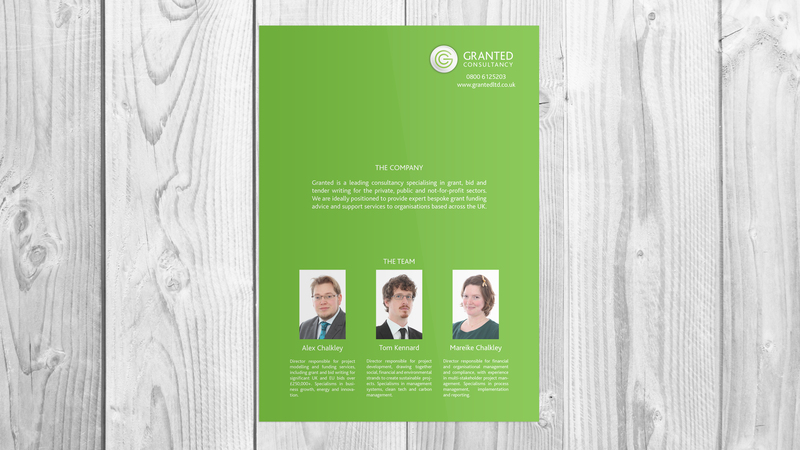 They decided a glossy brochure would be the best way to get their message to a more corporate audience. 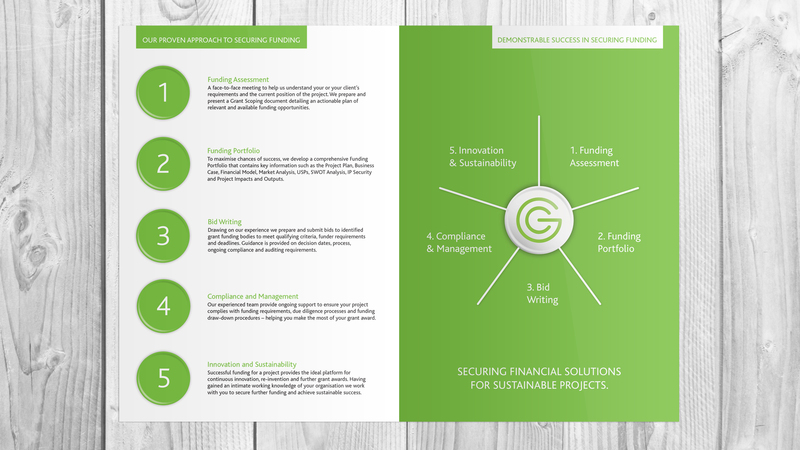 Our brief was to make their core company information as clear and easy to read as possible. We used a mix of visual devices and carefully considered colour placement to create a clean, simple layout that was easy to digest.